Make sure to tune in on Saturday, October 23rd (NOT on Friday, October 22nd as previously reported) starting at 6:55PM as Art Benedict brings you the play by play from the Robert H. Frost Sports Complex as the Torrington Red Raiders square off against the Woodland Regional Hawks in NVL football action! A final programming note; Rich Wasserman's "Nonsense" (normally heard on Saturdays from 6:00-8:00PM) will be preempted in order to bring you the game. 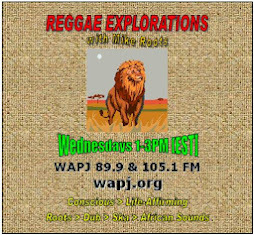 As we continue to bring you a variety of quality programming here at WAPJ, we're happy to announce the return of Alan DeLarm with a brand new show. "In One Ear and Out the Other" can be heard on Fridays from 9:00-11:00PM. Alan promises to deliver a mix of music with lots of variety. Tune in following the "The Classic Rock Show" with Tony Henry which airs from 6:00-9:00PM. 39.COME ON OVER TO THE COUNTRY – HANK WILLIAMS JR. Check out "The Feel Good Show" with Jacque Williams on Mondays and Fridays from 3:00-5:30PM for a mix of music, announcements of what's happening in the area and conversation with special guests. On Tuesdays from 6:00-7:00PM, join Pamela Henry for "Tuesday Magazine". While the show will include something for everyone, Pamela will include topics of interest to women in the Torrington area. Show topics include health, the arts, legal issues, cooking, travel in Ireland (with facts of interest on and about Ireland), Torrington Library events and much more. Also, note "Sam's Place" with Sam Grover moves to 7:00-9:00PM on Tuesdays. Last but not least, tune in to "The Mike Ciarlo Show" with Mike Ciarlo on Fridays from 5:30-6:00PM. 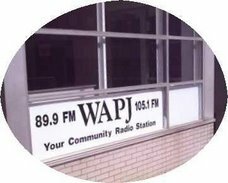 Look at our schedule at www.wapjfm.com for the complete lineup. 17- Waiting / The Israelites / Jamaican Celebration / JumpUp! 35.ALL MY ROWDY FRIENDS – HANK WILLIAMS JR.
40.COME ON OVER TO THE COUNTRY – HANK WILLIAMS, JR.